The headline was incredible and shocking: “Seven lost and one dead in the Valley of San Liberale.” How could such a thing have happened? Yes, it’s true that in recent years, many lives have been lost on Monte Grappa: those of motorists, paraglider pilots, hikers, and at least one cyclist. Either imprudence and human error, or a sudden ailment, was the cause in virtually all cases. 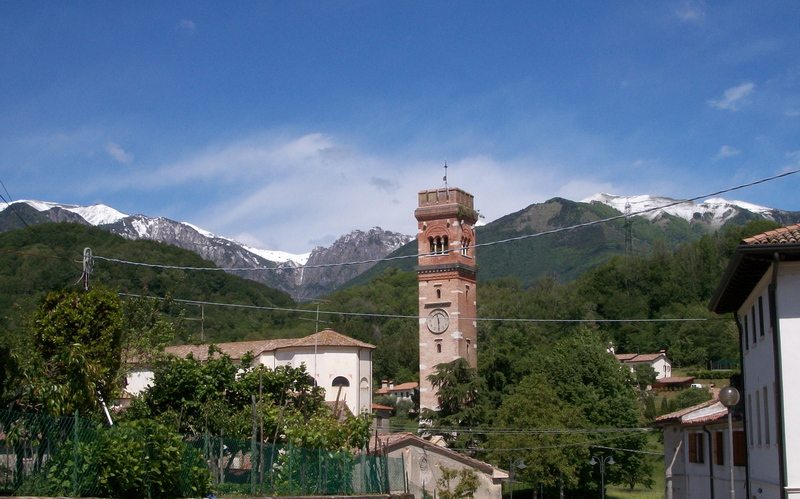 But Valle San Liberale, on the south face of the mountain, is the starting point of numerous well-marked trails, highly frequented, and seemingly innocuous. How could seven young people get lost there, in plain sight of the valley floor? And how could one of them die? The first newspaper articles were confused and fraught with errors: readers familiar with Monte Grappa knew, for example, that it was impossible that the hikers had taken a wrong turn and become lost, as reported, on Sentiero 152, a wide, easy, and well-maintained trail on the northeast side of the valley. Nor was it possible that the trail they were on had “unexpectedly disappeared” and that they “suddenly found themselves… trapped…prisoners of the mountain,” as one journalist melodramatically put it. (The chief of rescue operations stated that although that trail they were on –actually 102–does indeed narrow and almost disappear, it is nevertheless well marked). When a hiker loses the trail, or it’s too dangerous to proceed (a rock or snow slide blocks the way, for example), he must turn around and retrace his steps, no matter how inconvenient or time-consuming it may be. The group of friends could have done just that; they would have come to a forest road that descends to the valley floor. But when a hiker is on unfamiliar terrain and encounters the unexpected, lucidity and logic can be pushed aside by anxiety, fear, indecision, and fatigue. There was probably dissension about the best course of action. They could probably see the settlement of San Liberale far below, and may have thought they could just take a shortcut. Instead of turning back, they decided to bushwack down the mountainside, breaking one of the fundamental rules of hiking: never leave the trail. The terrain above the valley is impervious and treacherous, with vertical, steep-sided rocky ravines covered by thick vegetation. Several of them fell. One suffered traumatic injuries that cost him his life. Four of the group could go no farther, and clung to trees in exhaustion, pain, and fear. Two others made it to a zone with cell phone coverage and made a frantic call to 118. Perhaps Monte Grappa’s nearness, accessibility, and familiarity lull people into a false sense of security, causing them to not take it seriously enough. But the terrain, weather, and other conditions there can be as savage and unforgiving as on any other mountain, and the price of unpreparedness, imprudence, and bad judgment can be a high one. This entry was posted in Monte Grappa. Bookmark the permalink.